Rebecca "Becky" (Younkin) Imel was born on July 25, 1815, the daughter of Charles and Jane (Johnson) Younkin. She married John Henry Imel (1816-1887), the son of Henry and Anna (Fulton) Imel Jr. He is said to have been married once before, but this is not yet confirmed, and it's unknown whether he and his alleged first bride had any offspring. Rebecca and John Henry produced these known children: James Frederick Imel, William F. Imel, Samuel H. Imel, Anna Elizabeth May, Margaret Ellen "Ella" Hickson, Charles Wesley Imel and William Curtin Imel. The Imel Cemetery, located on a mountainous hilltop near Clay Run, Fayette County, was named for John Henry's grandparents, Henry and Margaret (Disher) Imel Sr., who once owned the property. Imel researcher Rosalie Hartinger tried to locate the cemetery in the 1950s or '60s, and wrote this to the Immel and Imel author: "When we attempted to find it in the woods, we found it almost inaccessible. The headstones had almost disappeared into the ground; the graveyard was overgrown; and even if the headstones could be raised, it is doubtful they would be legible now." In the 1980s and early 1990s, the cemetery was tended to by the widow and daughter of James "Fae" Younkin. During the Civil War, three of the Imels' sons -- James, William and Samuel -- served in Pennsylvania regiments. James and Samuel returned home, but William tragically died of disease in an army hospital in Washington, DC. When son James came back broken down with chronic loose bowels, John secured the services of two of the best local physicians to help -- Dr. Joseph Rogers and Dr. L. Lindley. Rebecca passed away at the age of 56 on March 23, 1872. Her final resting place is the Imel Cemetery. The Immel and Imel book cites cemetery records showing that her date of death actually was two months earlier, on Jan. 23, 1872. 1875 Atlas of Fayette County showing John and Rebecca's farm (green dot) in the "Yonkin District" east of Mill Run, where the Imel Cemetery is now located, and the nearby farm of Rebecca's cousin George A. Younkin (red dot). John Henry outlived his wife by 15 years. In 1878, he served as tax assessor of Springfield Township. By 1880, he had married a third time, to Catherine Burkholder (1822- ? ). They are shown together on the 1880 federal census. Also in their household that year were 30-year-old unmarried daughter Ellen, 17-year-old son William Curtin Imel, 25-year-old stepson William Burkholder and 16-year-old servant William Hannah. John Henry died at the age of 71 in Springfield Township, on Feb. 24, 1887. He was lowered to his rest in the Imel Cemetery. His upright grave marker, featuring a carved hand pointing upward toward heaven, is still standing and legible today. The fate of John Henry's second wife is not yet known. Son James Frederick Imel (1837-1889) was born in 1837 in Springfield Township, Fayette County. As a youth, he recalled that his occupation "when not at school at farm work most of the time." James was tall, standing six feet, two inches, and weighing 155 lbs. He had a light complexion, black hair and black eyes. About a year before the Civil War broke out, he was apprenticed to John A. McBeth of Normalville as a cabinet maker. Four months after the Civil War broke out, on Aug. 23, 1861, James enlisted in the Union Army. He was assigned to the 85th Pennsylvania Infantry, Company K (Captain Hagan Z. Ludington's Company) and attained the rank of first sergeant. While stationed at Fort Good Hope, MD, near Washington, he was afflicted with typhoid fever, "brought on by hard work and exposure incident to his duties," recalled boyhood friend and fellow soldier John F. Campbell. Plagued with uncontrollable diarrhea, he was admitted for treatment to the post hospital. From there, he was taken by ambulance to the regimental hospital at Newport News, VA. When physicians decided he could no longer serve in effective military service, he received an honorable discharge at Newport News on April 7, 1862, and returned home. For about five months after his home-coming, James "lay sick" in bed. In the words of his father: "Immediately on his Return home he was confined to his Bed & was unable to be about for about three months, during which time he was attended by the Best Physicians in our County." The doctors brought in were Dr. Joseph Rogers and Dr. L. Lindley. In all, Dr. Rogers made 23 visits to the Imel home. After recovering some health, James was appointed enrolling officer for military recruits in Springfield Township. In the fall of 1862 and winter of 1863 he taught school in the township. With President Lincoln issuing a call for more troops, James in May 1863 was named enrolling officer for nearby Salt Lick Township. Following the same pattern, that winter, he again taught school in the same place as before. He received an opportunity in February 1864 when he traveled to Philadelphia to attend "a military school for the education of officers for colored troops," he said. But while there, his health did not hold, and he was discharged from the school that summer. He remained in Philadelphia for a few months and earned a living as a hotel clerk. Then in the spring of 1865, he returned home for a few months. While home, at the age of 28, James married 27-year-old Margaret Colestock (1838-1898) of Pittsburgh, on March 20, 1865. Rev. David Hess officiated, and one of the witnesses was C.L. Rose of Allegheny City (today's North Side). Their five children were Charles Judson Imel, Cora Harris, James Newton Imel Sr., Robert William Imel Sr. and Walter J. Imel. Learning about the oil and gas boom in northwestern Pennsylvania, he went to Columbia Farm, Venango County. There, he spent seven years as superintendent of the building department of Columbia Oil Company, an entrepreneurial venture of a number of wealthy Pittsburghers, among them Andrew Carnegie. In the fall of 1872, although being treated by Dr. L.H. Christie, James' health declined and he left the company, "and did not do anything for about a year but still lived at the same place," he recounted. He boarded in the homes of G.K.M. Crawford and David K. Faulk (1874). A good friend, E. Augustine Weagraff, who boarded in the Crawford house, occasionally "nursed and waited on him often when he was suffering from one of the attacks..." Once again, recovering his health a bit, James returned to Columbia Oil and superintended a team of laborers at several oil wells. But he had to watch his diet carefully, all the time. They relocated in 1876 to Titusville, Crawford County, PA, where James worked as a lumber merchant in a community expanding furiously with the oil production boom. He also was a federal postmaster in Titusville. Their home was located at 58 South Perry Street. James' brother Charles also lived in Titusville during the era and was an oil well owner and driller. In the book The Scheide Library, author Julian P. Boyd writes that the Titusville oilfield entrepreneurs were engaged in "as ruthlessly competitive a business as ever existed and at a time when the survival of the fittest meant, ordinarily, the survival of those in whom shrewdness in business, agility in sidestepping the onslaughts of competitors, and natural aptitude for managing and handling men by elemental rules..."
James himself wrote: "From 1865 to about 1872 I was at different places in the oil Region as a Stranger amongst Strangers, everything was moving and changing, both Men and things..."
In the early 1880s, James attempted to secure a pension from the federal government as compensation for his wartime ailment. He needed to provide significant documentation of his problems, with the help of eyewitnesses, but found doing so to be terribly challenging. His physicians in Titusville included Dr. J.L. Dunn and Dr. George O. Moody. James, exhausted by an adult lifetime of weakness and suffering, died in Titusville on Dec. 13, 1889, at the age of 52. Friend David K. Faulk was present at the deathbed. Margaret survived him by nine years, remaining in their home on South Perry. She passed away on Jan. 4, 1898, age 60, also in Titusville. The source of information about James, used in the Immel and Imel book, was Mrs. Robert William Imel Jr. of Easton, Northampton County, PA. Son Charles Judson Imel (1867- ? ) has faded from history's view. Daughter Cora Imel (1870- ? ) was born in 1870. She wed Clinton Harris. They had one son, Junior Harris. The Harrises made their home in Muncie, IN. Following her husband's death, Cora and her son moved to Oklahoma, "where they died and are probably buried," said the Immel and Imel book. Son James Newton Imel Sr. (1872-1940) was born in 1872. In about 1901, when he was age 29 and she 23, he married Sallie Cartwright (1878-1961). They made their home in Youngstown, Mahoning County, OH and had two children -- Charles Imel and James Newton Imel Jr. James Sr. passed away on April 30, 1940, with interment in Youngstown. As a widow, Sallie went to live in Gambier, Knox County, OH. She died there on Sept. 3, 1961, at the age of 83. Their son Charles married Virginia Crowell, and their son James Jr. wed Frances Cooper. Son Robert William Imel Sr. (1876-1934) was born on Sept. 29, 1876. Dr. R.W. Playford attended mother and baby at the birth. Robert was employed as a salesman and office worker. He wed Elizabeth Messinger (1886- ? ) in Washington, DC on July 29, 1907, when he was age 31 and she 21. They resided on Sullivan Road in Easton, Northampton County, PA. Their four children were Margaret Anne Imel, James Attix Imel, Dorothy Elizabeth Montague and Robert William Imel Jr. At the age of 58, in July 1934, Robert Sr. died in Easton. His widow outlived him by many years, and was still living when providing information in 1969 for the Immel and Imel book. SonWalter J. Imel (1877- ? ) was born on Sept. 20, 1877 in Titusville. Attending him as a newborn baby was Mrs. Thomas Hilliard, a midwife. He was still living in the 1880s but his fate is not known. Son William F. Imel (1839-1861) was born in 1839 in Springfield Township, Fayette County. As with his brother James, he served in the U.S. Army during the Civil War, but unlike his sibling, he did not survive. He enlisted first, on July 8, 1861, and was placed in the 8th Pennsylvania Reserve Infantry, Company K. He contracted some sort of devastating illness -- perhaps typhoid fever -- and was sent to St. Elizabeth's Hospital in Washington DC for medical care. Sadly, he succumbed to the disease on Nov. 29, 1861, just four months into his service. His burial location is unknown. Apparently he was one of two men named "William F. Imel" who were members of the same regiment, the other from Franklin County, Pa, and whose military records were intermingled over the years, causing great confusion for researchers. Son Samuel H. Imel (1842-1931) was born on April 8, 1842, in Springfield Township, Fayette County. As a young adult he made a living as a teamster. He stood 5 feet, 9 inches tall, with a dark complexion, hazel eyes and brown hair. Samuel was one of three brothers to join the Army during the Civil War. He enlisted at the age of 19 on Sept. 1, 1862 and initially was a member of the 14th Pennsylvania Cavalry. After a little more than two months, he was re-assigned to the 2nd United States Cavalry, Troop B, commanded by Lieut. Will Blanchard. He suffered from a disease of his ears which led to loss of hearing, which he blamed on exposure to the elements. He was treated at a military hospital on Turner's Lane in Philadelphia, but could find no relief. One surgeon wrote: "Almost entire loss of hearing of both ears -- the membrana tympani of the left side also being ruptured. Has been gradualy [sic] growing worse since his reception into Hosp. Origin of disease unknown. Is disabled in my opinion to the extent of one half." The army discharged him on May 28, 1863, and he returned home from Philadelphia. He immediately applied for an invalid army pension as compensation for his wartime injuries. Henry K. Eicher and David Bruner provided support for his claim. All of his comrades from home, he stated, had been killed at Malvern Hill and Deep Bottom, VA. In June 1866, at age 24, he wed 18-year-old Melinda Wiltrout (1848- ? ). Justice of the peace Joseph Brooks officiated. 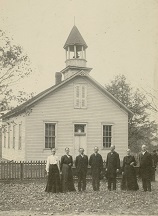 They resided at Elm (Normalville) and had six offspring: Josiah Imel, Caroline E. Bertholf, Henry A. Imel, Mary E. Warfield, William N. Imel and O. Otis Imel. Between 1878 and 1880, the Imels migrated west, becoming pioneer settlers of Illinois. The 1880 federal census shows them in York Township, Carroll County, IL. 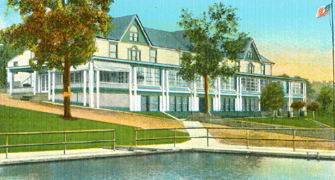 Circa 1904, the family was back in Western Pennsylvania and made its residence in Mt. Pleasant, Westmoreland County, PA.
Samuel eventually returned to Fairhaven, Carroll County, where he died on March 23, 1931, at age 88. Son Josiah Imel (1868- ? ) was born on Aug. 6, 1868 in Pennsylvania, likely in Fayette County. Daughter Caroline E. Imel (1869- ? ) was born on Sept. 6, 1869. She migrated to Illinois with her parents and siblings. There, in Savanna, Carroll County, she married William Bertholf ( ? - ? ). Son Henry A. Imel (1871-1943) was born on June 2, 1871. At the age of 23, on Oct. 10, 1894, he wed 20-year-old Clarissa Isenhart (1874-1949), daughter of Peter and Emma (Johnson) Isenhart. They had five children -- Alma Bailey, Gladys Decker, Harold Imel, Cecil Imel and Clarence Imel. He resided in Fairhaven, IL. Henry died on Aug. 21, 1943. Clarissa lived for another six years. She passed on May 1, 1949, age 75. Daughter Mary E. Imel (1875- ? ) was born on Feb. 22, 1875. She wed (?) Warfield. They resided in Meadow, Perkins County, SD. Son William N. Imel (1878- ? ) was born on Aug. 22, 1878, the last of the offspring to be born in Pennsylvania. Thus he traveled with his family to Illinois as an infant and likely had no memories of his home in the mountains of Fayette County. As an adult, he dwelled in Kersey, Weld County, CO. Son O. Otis Imel (1881- ? ) was born in 1881 in Carroll County, IL. He returned east to make a living as a coal miner in Pennsylvania or Virginia. He died in the mines but nothing more specific is on record. Daughter Anna Elizabeth Imel (1843-1916) was born on Dec. 12, 1843 in Springfield Township, Fayette County, and apparently never moved away. Her husband was Leonard May (Aug. 11, 1836-1909), son of Michael and Christina "Tina" (Parker) May. The marriage occurred in the Imel residence on Nov. 2, 1865, led by John Sherbondy, when Anna Elizabeth was age 21 and Leonard 29. They "lived beyond Mill Run," said the Daily Courier. Their five children were John M. May, Henry Elmer May, Ellen Opperman, Charlotte Jane Bigam and one unknown. The couple also adopted a son, James N. Anderson. They lived for many years in Mill Run, and enjoyed visiting with family friends in Connellsville and Scottdale, among other places. When the federal census enumeration was made in 1900, the Mays lived in Springfield Township, Fayette County, with Leonard laboring as a farmer. Heartache shook the family in November 1902, when son Henry succumbed to typhoid fever at the age of 33. His remains were placed at rest in the Imel Cemetery. Leonard's health declined due to heart disease and failure or paralysis of his muscles, called "paresis." He died in Springfield Township at the age of 73 on Aug. 31, 1909. Anna Elizabeth survived for another seven years, and became an invalid. Having endured hardening of the arteries and fatty degeneration of her heart muscles, she died on Oct. 31, 1916, when she was age 72. Mrs. George Bigam of Mill Run was the informant for her Pennsylvania death certificate. She rests with her husband in Imel Cemetery. Son John M. May ( ? -1867) died in childhood, perhaps infancy, on Feb. 19, 1867. Burial was in the Imel Cemetery. Son Henry "Elmer" May (1869-1902) was born on Jan. 18, 1869. Federal census records of 1900 show that he resided with his parents, sister Charlotte and adopted brother James Anderson in Mill Run and earned a living providing farm labor. Circa 1896, he also secured $13 worth of contracts with the Springfield Township School Board to provide coal to the one-room Mason and St. John school buildings. Again in August 1897, he obtained coal contracts for the Mason school. Elmer appears not to have married or reproduced. He was stricken with typhoid fever and died at the age of 33 on Nov. 6, 1902. Said the Connellsville Daily Courier, "The remains were buried at the old Imel graveyard on Laurel Hill, Rev. E.E. DeHaven conducting the sad services." Daughter Ellen "Ella" May (1872-1907) was born on June 30, 1872. She married Louis Opperman ( ? -1906). They had one son, Arthur Opperman. Louis is believed to have been a local constable in the Connellsville area. Tragedy struck the family in the spring of 1906 when he contracted pneumonia and died after a short time on April 10, 1906. His untimely passing generated headlines in the Daily Courier, and he was laid to rest in St. Joseph's Cemetery. The Grim Reaper completed its work a year later, when Ella died on Sept. 29, 1907, at the age of 35. She rests for eternity in Imel Cemetery. Their orphaned son Arthur (1902-1948) was taken at the age of two into the home of his uncle and aunt, George H. and Charlotte Jane (May) Bigam of Mill Run. Arthur grew to adulthood, married Nancy Miller and worked for many years for Connellsville Manufacturing and Mine Supply Company. He died of a heart affliction at the age of 46 on Sept. 15, 1948. Daughter Charlotte Jane May (1877-1952) was born on March 15, 1977, and seems to be the only one of the children to live a long life. Circa 1900, when she was age 23, she lived at home with her parents. In August 1900, she married blacksmith and farmer George H. Bigam (1867-1958). Their three children were J. Foster Bigam, Anna Mae Wilson and Ella Marie Bryner. The Bigams were longtime members of the Mill Run Grange. In March 1937, at the death of Charlotte's uncle Charles W. Imel, his funeral services were held in the Bigam home in Mill Run. When George marked his 71st birthday in February 1939, a number of his adult children and family friends held a party at his home. Reported the Daily Courier, "No one present enjoyed the celebration more than Mr. Bigam, who is hale and hearty. He was the recipient of many gifts." The following year, in January 1940, a fire broke out in George's barn, killing five head of cattle. They celebrated their 50th wedding anniversary on Aug. 27, 1950, with an open house at their home. Charlotte died on Aug. 30, 1952, at age 75. Rev. Paul O. Morris officiated at her funeral in the Mill Run Evangelical United Brethren Church, followed by burial. George passed six years later in October 1958. They are entombed in the Indian Creek Baptist Church Cemetery in Mill Run. Grandson J. Foster Bigam lived in Mill Run -- their son in law James N. Hensel, a U.S. Marine, was killed circa 1957. Granddaughter Anna Mae Bigam was a nursing student at Pittsburgh's Homeopathic Hospital circa July 1935, later marrying (?) Wilson and living in New Castle, Lawrence County, PA.
Granddaughter Ella Marie Bigam wed farmer Clarence Bryner of Mill Run on the Fourth of July 1940 and in 1950 dwelled in McKeesport near Pittsburgh. Adopted grandson James N. Anderson (1891- ? ) was born in June 1891. Daughter Margaret Ellen "Ella" Imel (1849-1929) was born on Aug. 31, 1849. At the age of 30, unmarried, she lived at home with her father and stepmother in Springfield Township, Fayette County. She married John H. Hickson ( ? -1937), sometimes misspelled "Hixon." The Hicksons were longtime farmers and resided near the Pleasant Valley Country Club in Bullskin Township north of Connellsville. The couple produced the following four children -- James W. Hickson, Elizabeth Bosley, Rose McClellan and Ellen Jean "Ella" Torrance. Ella contracted cangrene of her legn and septic shock set in. During her lingering sickness, her niece Charlotte Bigam and her son Foster are known to have traveled from Mill Run for visits. Ella died in Wooddale, Fayette County, PA, at the age of 79 on May 16, 1929. Interment weas in the Mount Olive Cemetery in Bullskin Township. John survived her by nearly eight years. He passed away on Jan. 19, 1937. His obituary in the Connellsville Daily Courier reported that he "had been ill for about three years with complications of diseases." Later that year, at Christmas 1938, when the inaugural edition of the Younkin Family News Bulletin was printed, his obituary was reproduced there, on a page facing the obituary of his brother in law Charles W. Imel, who died two months after John's passing, and a few pages away from the death notice of nephew Arthur J. "A.J." Imel, who was killed under dark and mysterious circumstances the very same day as John died. Son James W. Hickson (1883-1963) was born on Sept. 27, 1883 in McClure, Fayette County. He appears to have never married. He was a farmer for nearly seven decades in Bullskin Township near Wooddale, and retired in 1959. He also was a member of the Pleasant Valley Grange at Wooddale. With his health failing in his late 70s, he went to live with his married sister Ella Torrance on Market Street in Scottdale. He died in her home at the age of 79 on Feb. 26, 1963. Burial was in Mount Olive Cemetery, following funeral services officiated by Rev. Charles E. Hamnett of the Scottdale First Presbyterian Church, with an obituary in the Daily Courier. Daughter Ella Jean Hickson (1893-1975) was born on Nov. 10, 1893 in Fayette County. She married John Clayton Torrance ( ? -1953). They had two children -- James C. Torrance and Jane Steeves. The Torrances resided for many years in Scottdale, Westmoreland County. Ella graduates from the Mount Pleasant Hospital School of Nursing and was a registered nurse. She also was a member of the Calvin United Presbyterian Church of Scottdale. Sadly, John died on July 26, 1953. As a widow, Ella Jean moved to Warren, Warren County, PA, where her son James made his home. She was admitted to a local Barley Nursing Home in about 1971. She died there at age 81 on Jan. 5, 1975. In an obituary, the Daily Courier reported that her survivors included nine grandchildren. Her remains were shipped back to Connellsville for entombment in Green Ridge Memorial Park. Their son James C. Torrance (1921-2010) was a graduate of the University of Pittsburgh. he resided in Warren, where he was president of Warren General Hospital, Warren Borough Council, and a member of the board of directors of the Warren Area Chamber of Commerce and fundraising campaign chair of the Warren United Fund. He also helped to raise funds for the Warren County YMCA. Daughter Rose Hickson married Clayton W. McClellan. Circa 1929-1975, she lived in Pittsburgh. Daughter Elizabeth Hickson married LeRoy Bosley. Her home in 1929 was in Smithfield, Fayette County. Son Charles Wesley Imel (1851-1937) was born in either 1844 or more likely in 1851 in Mill Run, Fayette County. He wed Josephine Johnson (1853-1922), daughter of David and (?) (Puilen) Johnson of Mill Run, and may have been a cousin on the Johnson side. They had four children: Charles "Grant" Imel, Margaret "Dessie" Myrtle Imel, Arthur J. "A.J." Imel and William R. Imel. Charles moved the family to Titusville, "where he was an oil well driller and for a number of years owned a number of wells in that region," reported the Connellsville Daily Courier. He "also owned a farm there" and was a near neighbor to his elder brother, James F. Imel. Josephine suffered from chronic kidney disease and uremia and died on Sept. 11, 1922 in Irwin Township, Venango County, PA. Daisy Immel of Harrisville, PA was the informant for the death certificate. Burial was in Peter's Chapel in or near Harrisville. Charles survived his wife by 15 years. Circa 1929, when mentioned in the Daily Courier obituary of his sister Margaret Ellen Hickson, his home was in the Murphy Siding section of Connellsville. He suffered the untimely deaths of two adult sons -- In November 1931, son William was found lifeless in his bed after having suffered a stroke; and in January 1937, son Arthur was bludgeoned and died of a fractured skull. Charles passed into eternity on March 15, 1937, age 86. A short news story in the Pittsburgh Press called him a "pioneer oil driller." The funeral was held at the Mill Run home of his niece Mrs. George Bigam, with funeral services led by Rev. Paul O. Morris of the Indian Creek Baptist Church. He reposes in the Indian Creek Baptist Church Cemetery in Mill Run. In administering the estate, James W. Hickson and Edward Poorbaugh were provided with $2,400 to invest and then pay dividends to Charles' sons Arthur and William. In the event of the sons' deaths, daughter Dessie Myrtle was to receive the proceeds. Son Charles "Grant" Imel (1872-1943) was born on March 10, 1872. He wed Ida Whipkey (1885- ? ), daughter of Albert S. Whipkey, on Oct. 2, 1903, when he was age 31 and she 18. They produced nine children -- Orval W. Imel, Dorothy Edna Bender, Edith Bird Tracy, Omer Imel, Evelyn Paul, Ethel Kavar, Elizabeth Imel, Ida Louise Rulli and an infant son who died young. (Ida's sister Ada was married to Albert "Ward" Minerd of Mill Run.) The family made its home in Connellsville and later in Indian Head, Fayette County. Circ 1909, Grant was employed as a foreman in local coal mines. In the early 1920s, Grant secured a contract with James Mountain to cut stone in a local quarry. This family was pulled into controversy and news headlines in 1921 when Grant and son Orval provided eyewitness testimony in the murder of James Mountain's brother Jasper, allegedly at the hands of James' son Meade. Grant died on Jan. 21, 1943 and rests in the Imel Cemetery. Among the mourners attending his funeral were his niece Mrs. O.H. Trump, Mrs. Thelma Martin, Harry Mansberry, Arabella Mays and Harry Mays. Grant's widow was still alive in 1970. In an interesting twist, later in life, their son Orval wed Ida B. (Grimm) Miner, ex-wife of Orville's distant cousin Franklin Miner. Their son Omer M. Imel (1917-1976) was a World War II veteran and worked for Bethlehem Steel. Daughter Margaret " Dessie" Myrtle Imel (1877- ? ) was born in 1877. Circa 1937, presumably unmarried, she made her residence in Jamestown, NY. Son Arthur J. "A.J." 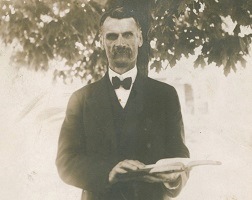 Imel (1888-1937) was born in about 1888 in or near Mill Run. 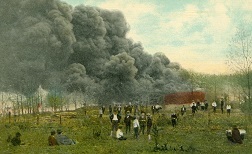 As an adult, he resided at Davidson, the hot, dirty coal works of the H.C. Frick Coke Co. A.J. apparently met with foul play in mid-January 1937. He lived alone, in a shanty behind the Union Supply Company store at Davidson. He was discovered lying in the shanty with a fractured skull, which authorities later concluded was inflicted with a blunt weapon. He was rushed to Connellsville State Hospital, where he died on Jan. 19, 1937, at the age of 57. News of his mysterious death was published in the Daily Courier as well as the original edition of the Younkin Family News Bulletin later that year. The story reported that the deputy coroner believed "Imel probably met with foul play although no information had been unearthed at noon as to circumstances that might have led to the fatality." He was laid to rest in the Indian Creek Baptist Cemetery in Mill Run. His pallbearers included Carl Prinkey, Ira Prinkey, David Bigam, Carl Eicher, L.G. Hawkins and George S. Rowan. Son William R. Imel (1879-1931) was born on April 25, 1879 (or 1882). He married Madge ( ? - ? ), and they eventually divorced. When in his late 40s, he was an invalid living in Bullskin Township, Fayette County. After the effects of a stroke of paralysis, he died on Nov. 13, 1931, age 52. He rests in the Indian Creek Baptist Church cemetery in Mill Run. Son William Curtin Imel (1863-1945) was born on Nov. 22, 1863 in Springfield Township, Fayette County. He appears to have received his first name from an elder brother who died during the Civil War, and the middle name for Pennsylvania's governor during that era. He grew up as a farm laborer and was living and working on his father's farm when the federal census was taken in 1880. On Dec. 30, 1886, William was united in wedlock with Cinderella Arthur (Nov. 4, 1868-1909), the daughter of Alexander and Helen Arthur of Corydon, PA. Having grown up in Kinzua, PA, Cinderella obtained her qualifications to teach and did so in the local community. The couple produced two children -- Charles A. Imel and Helen Imel. On Feb. 18, 1890, when he was 27, he joined the Pennsylvania Railroad as a clerk, likely in Kinzua. Two years later, in November 1892, the family relocated to Tidioute, and then in April 1906, having been promoted to agent, he was transferred to Tionesta, Forest County, PA, making his home on Bridge Street. There, he was employed as a freight and passenger agent with the West Hickory and Tionesta stations of the Pennsylvania Railroad. They were members of Christ Episcopal Church, and Cinderella was active with the local Shakespeare Club. The Forest (PA) Republican in Tionesta once noted that she "always took an active part in the church and social affairs as her time would permit. Of a kindly disposition, she made and retained many friends." Cinderella's health declined over the years from heart and kidney disease. In early August, she was stricken with pulmonary tuberculosis and died within a day at the age of 40. Reported the Republican, "for more than a year Mrs. Imel has not been in robust health, suffering from a complication of ailments, but it was not until within the past week that her condition was considered sereious. She had not been confined to the house at any time and was about as usual on the evening before her death. The end came suddenly and without warning, the direct cause of her death being heart trouble." Interment was in Kinzua. Upon reaching the age of 70 in November 1933, he was required by company rules to retire from the railroad. An article in the Oil City (PA) Derrick said that "His many friends hope that he will long enjoy his retirement after a continuous services of nearly 44 years." On Sept. 6, 1945, suffering from hardening of the arteries, he was admitted to the White Rest Home in Tidioute, Warren County, PA. Four days later, he was stricken by a heart attack and died instantly, on 10, 1945. Son Charles A. Imel of Clarion, PA was the informant on the official Pennsylvania certificate of death but was unable to provide the names of William's parents. William's remains were placed into repose in Tionesta.